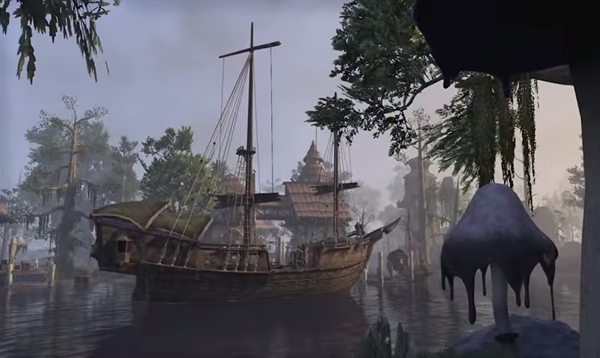 To make it easy for exploring Vvardenfell, the island home of the Dark Elves, The Elder Scrolls Online: Morrowind shares an in-depth article of Morrowind's setting. The northeast land of Tamriel, Morrowind is the paradise of Dark Elves. The large island of Vvardenfell is the center of the province and it fills the Inner Sea. The volcanic Red Mountain rises from the island and dominates the skyline. It's a landmarks in Morrowind and you can see the mountain no matter where you are on a clear day. Recently opened to aggressive settlement by the Great Houses of the Dark Elves, Vvardenfell is the new frontier of Morrowind, full of enough promise, untapped riches, and enduring mysteries to attract the most-seasoned adventurers, fortune hunters, and settlers alike. As the Dark Elves of House Redoran, Hlaalu, and Telvanni compete to carve up the island for themselves, the nomadic Ashlanders struggle to maintain a hold on their traditional hunting grounds and sacred sites throughout the Ashlands. From the port city of Seyda Neen on the southwest corner of the island, House Hlaalu welcomes visitors to Vvardenfell and provides access to the rest of the large island. In nearby Vivec City, the Living God Vivec of the Tribunal oversees his vast domain from his palace ziggurat, which stands in resolute splendor beneath the hovering moonlet, Baar Dau. A robust priesthood, under the supervision of the Archcanon Tarvus, administers to the city and sees to the spiritual needs of the Living God and his faithful followers. Further north along the great island's Bitter Coast, the town of Balmora serves as the last bastion of civilization on the edge of the savage wilderness known as the Ashlands. Here, House Redoran holds sway and regularly sends exploratory forces out to tame the Ashlands, all the while struggling to keep the ambitions of House Hlaalu in check and maintaining a watchful eye on the assassins of the Morag Tong. 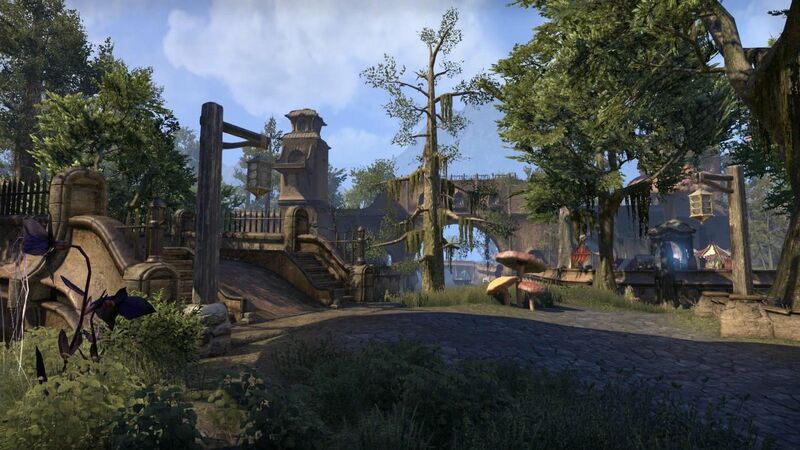 To add to the place's daily tensions, rumors of an active Daedric cult within the city continue to reach the ears of the Ordinators and Lord Vivec's Buoyant Armigers in Vivec City. The town of Sadrith Mora is located in the eastern shore of the island where have a collection of assorted smaller islands. Here and throughout the surrounding countryside, the wizard-lords of House Telvanni isolate themselves from the machinations of the other Great Houses. 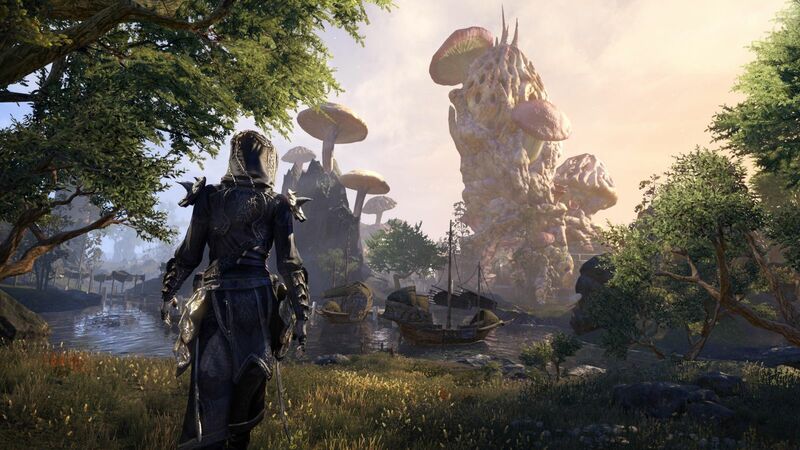 They prefer to pursue wisdom and the mastery of magic in solitude among their looming mushroom towers, maintaining their belief that rules are for the weak, power confers right, and slaves are necessary for the continuation of House Telvanni's most cherished traditions. "The wilderness of Vvardenfell, full of strange creatures such as nix-ox, fetcherflies, and vvardvarks, serves as home to the Dark Elves the Great Houses consider to be savages—the nomadic Ashlanders. The Ashlanders live in loosely defined tribes, wandering the land in order to hunt, fish, and honor the ancestors. They have no love of the Great Houses or the Tribunal, considering both institutions to be a betrayal of the ancient culture and traditions of the Dark Elves. In recent years, the Ashlanders have come into increasingly violent conflict with the Great Houses, most notably House Redoran, as more and more of the large island continues to be settled. They maintain a hold on their holy site of Ald'ruhn, despite House Redoran's obvious desire to occupy the area. In fact, the tribes use the site as a meeting place, coming together to trade, confer, and honor their ancient traditions. Morrowind, and Vvardenfell in particular, has a unique ecology unlike anything else seen in Tamriel. Separated from the west by the Velothi Mountains and further isolated by the Inner Sea, Vvardenfell has been shaped by volcanic activity and enjoys a mild, if often hot, climate. Red Mountain's lava flows and ash-falls provide a constant cycle of death and rebirth for the woodlands and mushroom jungles, resulting in a diverse set of flora and fauna. From the fungus forests of Zafirbel Bay to the swamps of the Bitter Coast to the ash dunes of the northern Ashlands, life not only finds a way to survive on Vvardenfell—it thrives!" More details on The Elder Scrolls Online: Morrowind, focus on the official site or www.eso-gold.com.